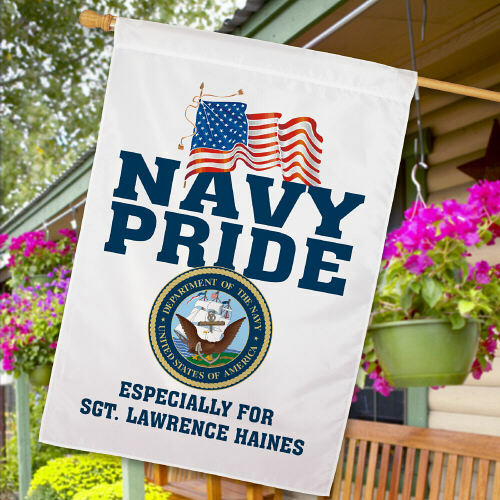 Personalized US Navy Military Pride House Flag. Everyone who sever it's country should have a flag with their name on it weather past aways as a hero or actively serving active duty. The men and woman needs a more support today than any thing. Give your support when you display one a beautiful Military Pride House Flags at your home. Each Flag you choose gives a visible reminder of those who serve for our country everyday and looks great hanging from the front of your home. This is also the perfect gift to give any one family members or friends.